Alligator Print & Copy was formally known as Alligator Press. Established in August 1989 by Jeffrey Cha. Currently managed now by Bruno Cristovao, who has a wide diverse of experience in many industries, blended with a passion in digital technology. As an allrounder, he can manage your current or future print/sign jobs. He stands by his manta, of "scarcity is clarity" in his professional work. Alligator Print & Copy's main goal is to continually improve on all product & service levels. We aim to achieve higher skill levels through constant education, training and implementation of joint projects. We have been in the printing industry now for over twenty years in Perth, meeting the growing needs of our clients. We only work with the highest quality suppliers & industry partners. We take great pride in being part of our clients businesses and are committed to their continual success. We value the ability to respond in a short period of time to achive. WE TAKE GREAT PRIDE IN OUR SUPERIOR QUALITY & REPLACEMENT RESPONSE TIMES. IF THERE IS A PROBLEM WE FIX IT OR REPLACE IT ASAP. OUR Digital Printing Press is the Konica AccurioPRESS C2070 we print great looking printed material at affordable pricing in less the time. Digital colour on-demand production printer – impressive speed of 60 / 71 colour prints/minute. Singular image quality – matchless clarity and precision with 1,200 x 1,200 dpi x 8 bit full colour resolution and Simitri® HD polymerised toner. 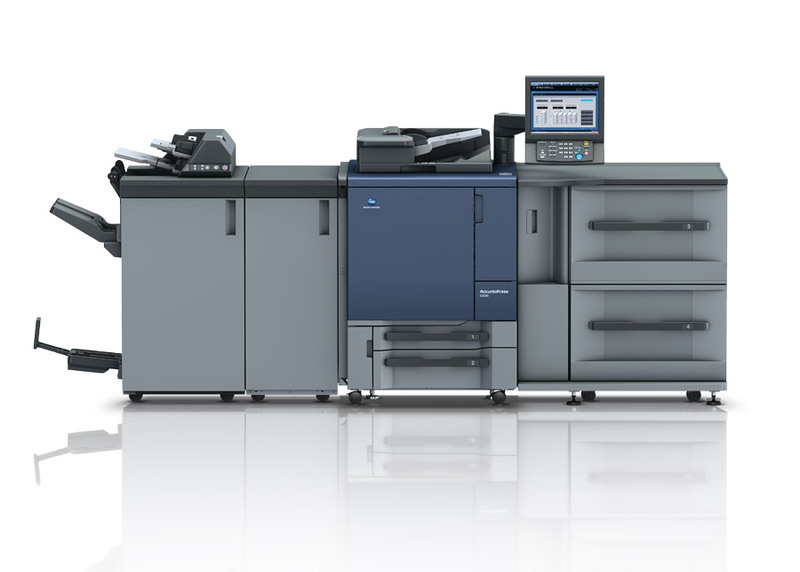 Konica Minolta’s advanced colour processing technologies – absolute consistency with S.E.A.D. II imaging, FM screening, stability monitoring and density control. Professional media and finishing capabilities – advanced media management for up to 350 gsm paper, and versatile finishing features, incl. booklet making, punching, post insertion. We have also invested in a Morgano Junior Paper Folder , envelope mailer & a robust Hydraulic Paper Guillotine to meet all our marketing mail out needs! Alligator Print & Copy believes in strengthing the dis-advantaged in the community, not only individuals but micro businesses. Hence we have launched a print start-up that entails entrepreneurship, learning & using new open source technology for empowerment & advancement.